First of all, let me say thank you for purchasing this report. I am sure you will find the content in this report invaluable when looking to create your own products. 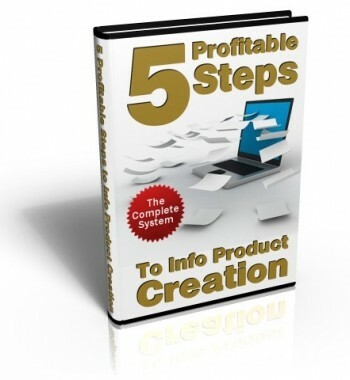 The reason I have created this report is to help other people get started with product creation as this can seem like a daunting task But believe me when I say it is also the most profitable step you can take! There is a lot of information on the web about how to create your own products, but not many of these sources provide a clear and concise step by step guide so you can get your product out there and making money in the quickest time possible! So that is what I am going to attempt to do here. Step 1: The Right Mindset Means A lot! Step 2: Finding That Hungry Niche! Step 3: How To Be Sure Your Product Will Make Money! Step 4: How To Create Your Killer Product With Least Amount Of Fuss! Step 5: The Secret To Writing Content For Your Ebook With Ease!